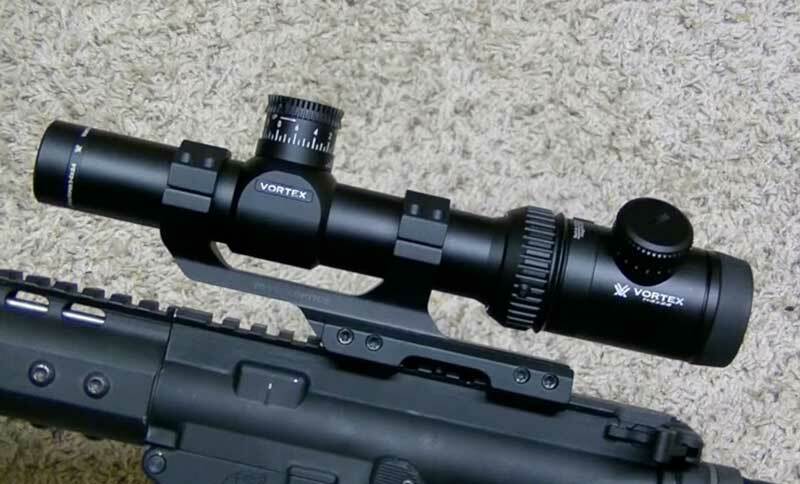 →Vortex Viper PST 1-4×24 Review – A Rifle scope Not to Overlook! A perfect riflescope needs to provide a clear vision, excellent zooming capabilities,and a decent weight so you can use it with your favorite rifle without problems. The Vortex Viper PST may be the scope that offers just that. With a price under the one-thousands-dollar mark, you can’t get any better. For those who are looking for more than quality, this one is quite amazing. An entirely accurate, fast, and easy-to-use scope that may improve your experience while hunting without any problem – that’s what the Vortex Viper PST is. However, this riflescope isn't that simple either. Wanna know more about what it can offer for those willing to try it? Come further and find out! With optically indexed lenses, and the Extra-low dispersion glass, the Viper ST is capable of delivering razor-sharp images, with the best brightness, crisp, and color you will find on the market. But what truly makes this accessory so good is the XR multi-coated lens, that helps to make the lens much more not only durable & reliable but also incredibly bright in the entire spectrum. Its light transmission is merely fantastic for its price. Every user who has tried the Viper PST has complied with almost every other user on this, the crispness and sharpness of the image this scope provides are virtually unbeatable. Whether you prefer MOAs or MRADs measurements, the 1-4x24 adjustments the Viper PST delivers are simply perfect. Especially the patented MagView power magnification from Vortex, a magnificent knob for magnification & an additional knob for illumination with ten levels – making it the ideal adjustable scopes many can enjoy. Even though two different models are providing either MOAs or MRADs, and you will have to choose accordingly, the quality and overall ease-of-use this product can offer are indisputably one of the best features – no matter what you pick. The second focal plane reticle (SFP), for example, makes the adjustments even more quality-oriented. And you will be able to measure practically everything from the range to the wind drift, the holdover and even more so with the 4x magnification, only a few scopes boast like the Viper PST. If you’ve ever wondered what most scopes are made – they are made of aluminum. But no many of them are made of an aircraft-grade aluminum such as the 6061-T6 this Viper PST comes with. The 30mm aluminum tube alongside the O-ring makes the scope almost unbreakable. You will get outstanding waterproof, fog-proof, and an excellent durability for superior performance in the long run. And what’s even better, the scope is sealed entirely to avoid debris, moisture or dust to damage your experience. When you consider the easy-to-use and comfortable design of the Viper PST, you immediately get fixatedon how excellent it is. Not only it is one of the most quality-oriented, but it is also one of the most convenient designs ever. And it is not because it is easy to adjust with its great knobs, its accurate vision, and fast performance or because it is lightweight and reliable – it is mostly because thanks to its overall construction, the scope is capable of providing higher quality than almost any other option in the market. Especially when you add the Tactical Milling Close Quarter ranging reticle and the glass-etched design, you get the perfect reliability everyone’s looking for. 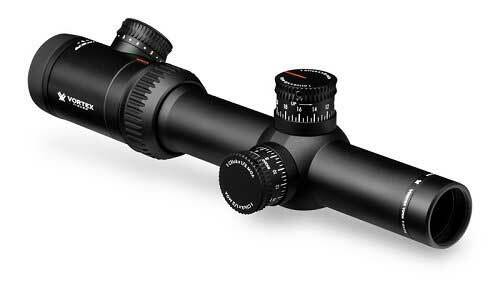 A terrific design for those who are looking for more than simple magnification – that’s what the Viper PST possesses. Yes, you will get fantastic detail and overall brightness/color with this astonishing scope, yet you won’t get the best magnification you can think of. Despite being reasonably decent, the 4x magnification of the Viper PST should be a little better for those users who needed more distance. Most users say that they can use the scope for up to 200 yards, but confirming that it was harder than they expected. You won’t get the worst magnification, but the Viper PST could still be a lot better than it is. The eye relief at 4 inches may feel normal at first use, but as soon as you use it on a hard-powered rifle – the low-quality of its design will show. It’s not the best eye relief for those who like powerful guns, as simple as that. This means that if you use it on medium-sized rifles to the shortest and less powerful ones – very likely you will get a great experience & result. Can the Vortex Viper PST Provide an Excellent Experience? To come with an accurate answer to finish the review on the Viper PST we need to consider what it can offer what it cannot. We know it offers a top-notch image, fine adjustments, and an exalted construction & design. This makes it comfortable, reliable, long-lasting, and most of all – very efficient when using. However, its magnification is only 4x while the eye relief at 4 inches may become a little too short for those who love big guns – making it slightly undesirable for demanding users. In short, the Vortex Viper PST is the perfect scope for the tactical shooter who expects quality and durability but not the most convenient design out there. Yes, you will be able to shoot things up to 200 yards away if you’re proficient – but you won’t be able to use it with your Magnum rifle (if you genuinely want to get the best from it). So, yes – the Vortex Viper PST is an excellent experience as long as you pick it knowing what it can do and what it cannot!